Violence doesn’t discriminate. The aftermath of each war and its conflicts are to be tackled, irrespective of your age. Easterine Kire in ‘A Respectable Woman‘, her recent novel takes us through the history of Nagaland in a narration that blends the past and present. 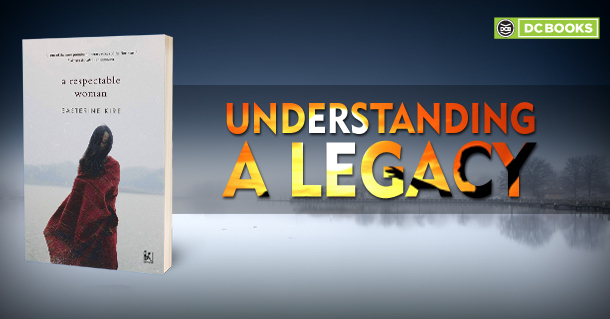 Set in Nagaland, the story talks about the battle of Kohima fought and won by the allies. It pictures a post-war Kohima through the eyes of a ten-year-old. Kevinuo narrates the memories of her mother Khonuo who was ten years old when the Japanese invaded Kohima. There is seamless stitching in of memories about the ruins and the trauma people go through after the war. It also portrays the irony of how life still moves on even in a rapidly darkening atmosphere. Weddings, relationships, births, and death are pictured in deft strokes against the backdrop of a society which grapples with their experiences after the war. A shred of evidence on the human nature of resilience, it doesn’t end with it. Khonuo lets her daughter explore the nuances of every social element that proved to be a victim of the war. As the memories of the war pass from mother to daughter, Khonuo takes a leap to the present. They deal with the present-day realities and challenge age-old customs, questioning domestic violence and witnessing the rise of vigilantism. There is empowerment that is acquired by the narrator through the characters that surround her, most of them being women. Easterine Kire, who is Nagaland’s first English novelist, takes us through a narrative that is rooted in Nagaland like her previous ventures but through an arduous journey that deconstructs violence and gives a subtle understanding of the conflict people are left to tackle with, irrespective of age.